← Queen – Keep Passing The Open Windows. 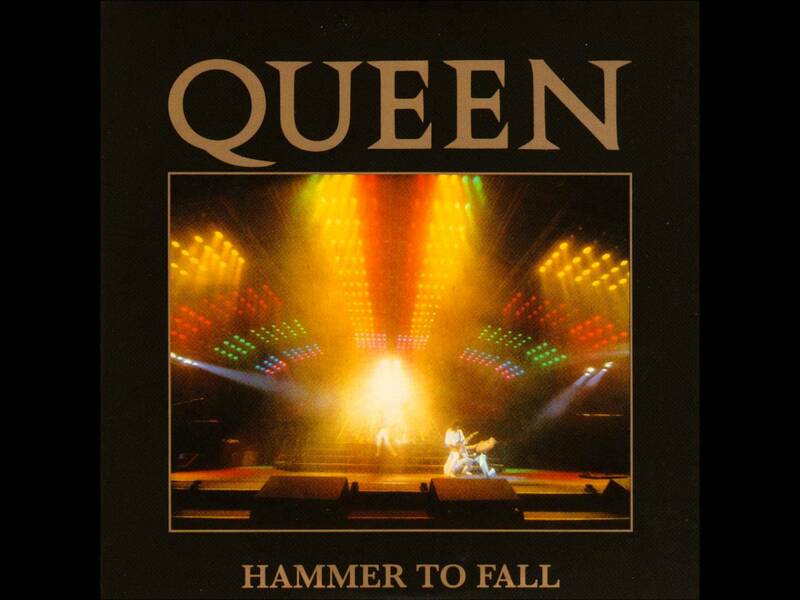 Queen – Hammer To Fall. Publicat pe 3 octombrie 2015	de Cristi M.
On the evening of 24 November 1991, a little over 24 hours after issuing that statement, Mercury died at the age of 45 at his home in Kensington. The official cause of death was bronchial pneumonia resulting from AIDS. Mercury’s close friend, Dave Clark of The Dave Clark Five, had taken over the bedside vigil when he died. Austin phoned Mercury’s parents and sister to break the news of his death. The news of his death reached newspaper and television crews by the early hours of 25 November. On 27 November, Mercury’s funeral service was conducted by a Zoroastrian priest. An intensely private man, Mercury’s service was for 35 of his close friends and family, with the remaining members of Queen and Elton John among those in attendance. Mercury was cremated at Kensal Green Cemetery, West London. In accordance with Mercury’s wishes, Mary Austin took possession of his ashes and buried them in an undisclosed location. The whereabouts of his ashes are believed to be known only to Mary Austin, who has stated that she will never reveal where she buried them.